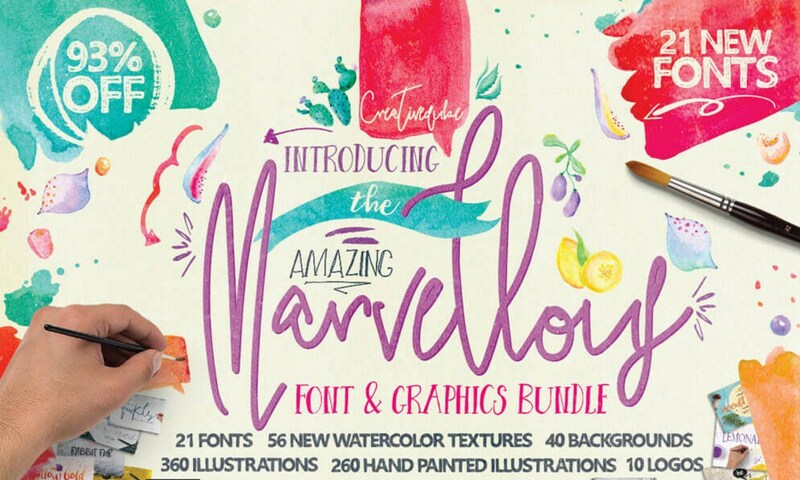 Friends, this is possibly the biggest ever bundle, including 65 different fonts and 13 different Graphics Packs from the TheHungryJPEG. All for only $29, which is 97% OFF RRP. This pack comes with TheHungryJPEG’s full Complete License, which allows all purchasers to use these products across a wide range of commercial activities, including on items which are created to sell. Hurry this amazing collection is only available for August 2016.